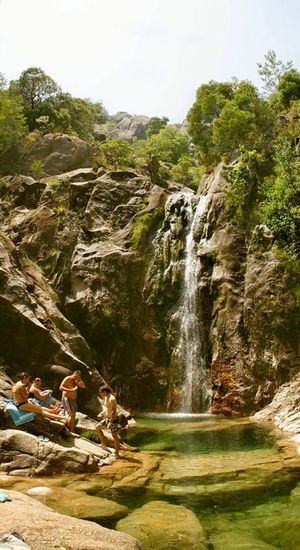 Visit the Cascatas do Tahiti Waterfalls and see one of the most beautiful natural landscapes of Pineda-Gerês Natural Park. The Cascatas do Tahiti Waterfalls, also known as Arado River Waterfalls and Fecha de Barjas, make up one of the most beautiful landscapes of the Pineda Gerês National Park. It is a series of mountain waterfalls of Arado River. You can reach them on foot by a beautiful 12 kilometres road which departs from the village of Vela do Gerês.